The third in the series, Sniper Ghost Warrior 3 focuses on the unique abilities of playing as a sniper, ghost and warrior. The first in the series to take on an open-world map, the game has been designed to be less linear than the original games. Taking place in a modern-day world, Sniper Ghost Warrior 3 story explores the conflict between three hostile factions. Players take control of a retired American Marine named Jonathan North, who proceeds to Georgia to prevent a civil war outbreak. Jonathan North is the main protagonist who you will travel to Georgia in a bid to take on and defeat an intruder who has caused civil unrest. Along the way, there are a number of side missions that add and compliment the overall story, including neutralising enemy territories and helping a resistance movement restore order. The main character does have ties to the intruder responsible for the outbreak in Georgia, with CI Games hinting that they share a dark past. We’re sure that the showdown will be the ultimate fight. Differing to previous games, Sniper Ghost Warrior 3 will only take control of one character, adding to the authenticity and realistic experience of the game and storyline. 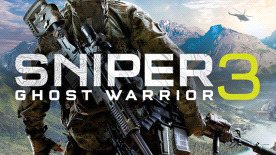 If you want to catch up on the rest of the story before Sniper Ghost Warrior 3, be sure to check out the Sniper Ghost Warrior and Sniper Ghost Warrior 2 plot.